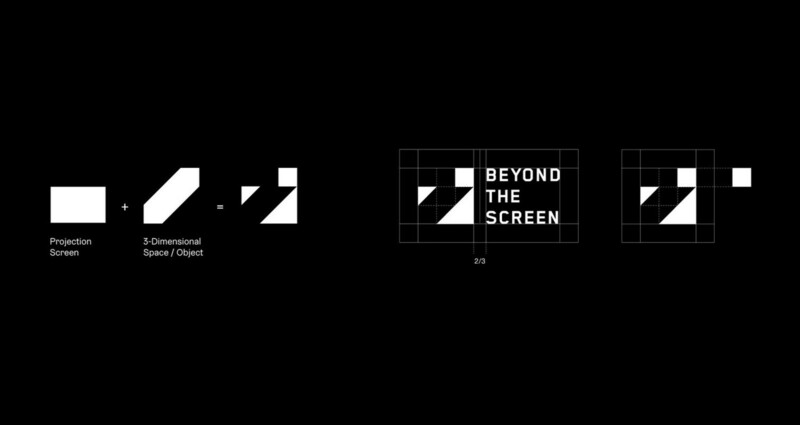 Beyond the Screen is an interactive video mapping festival. 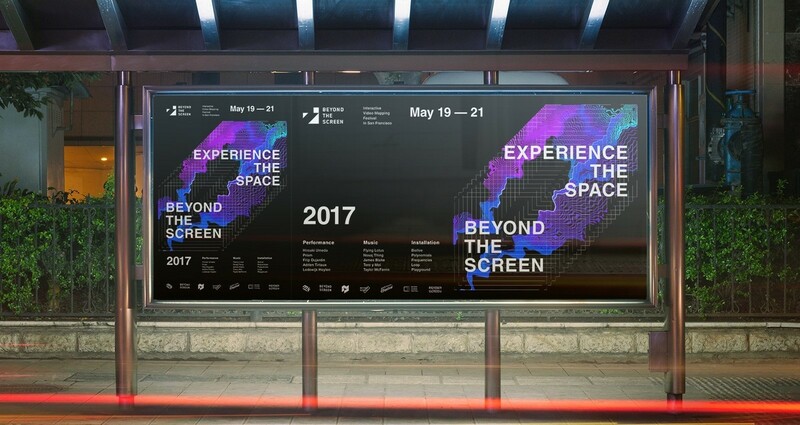 The interactive video mapping is a spatial augmented projection art that is three-dimensional. 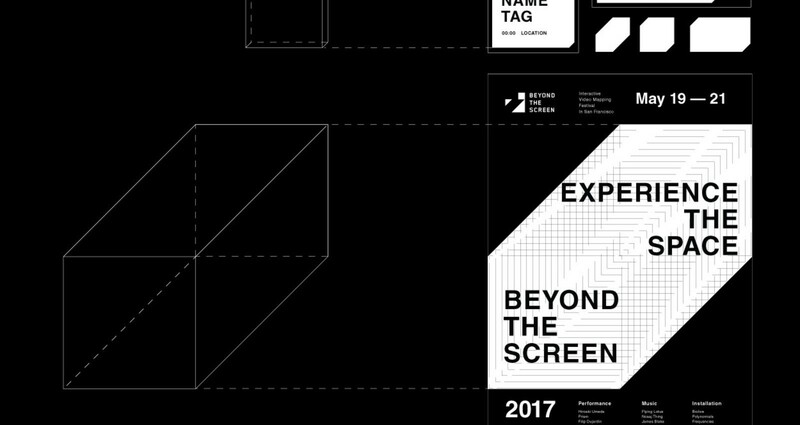 Beyond the Screen alternates visual performances,installations, architectural mapping, and workshops. 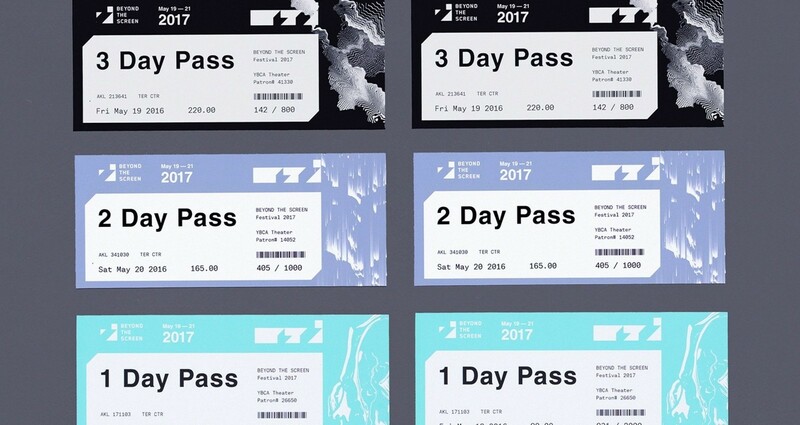 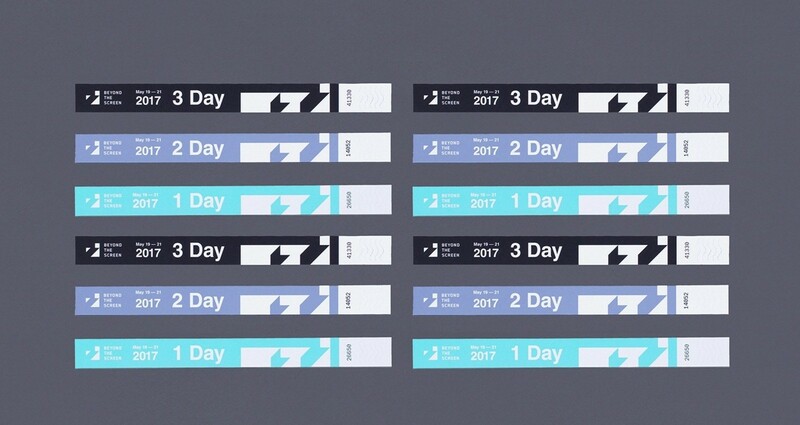 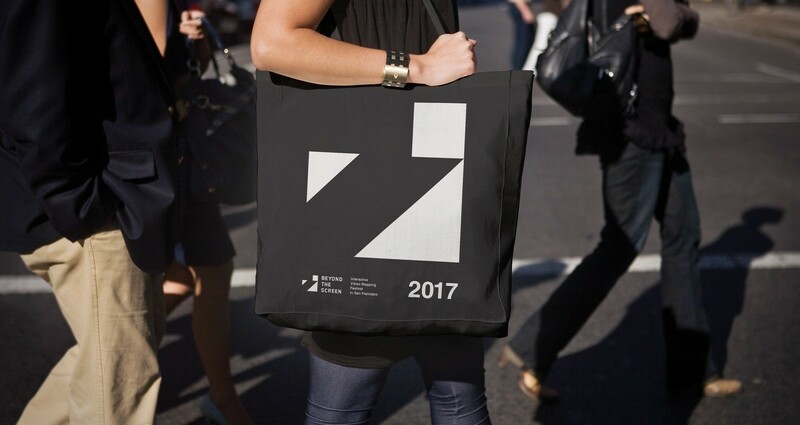 Demonstrating features of the festival to professional and general audience, this project is designed to embody easily recognizable and clear visual identity for all participants to fully comprehend and experience the festival. 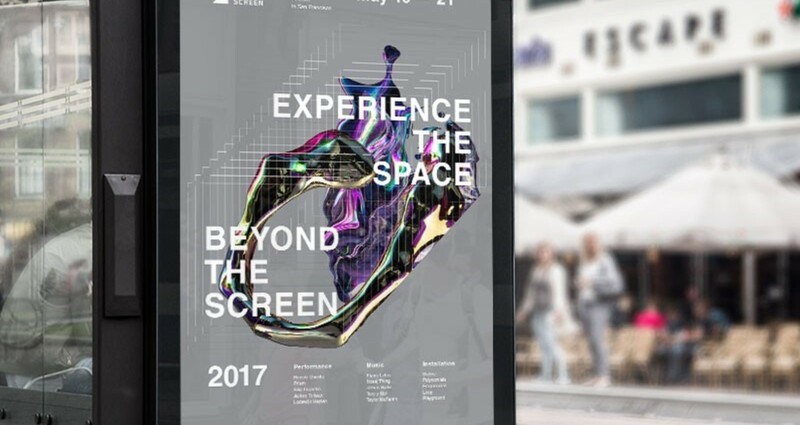 One crucial feature of the project includes interactive brand experience of the transition between flat 2D surface and spatial space, as the two-dimensional beam converts into three-dimensional projection the moment it encounters an object. 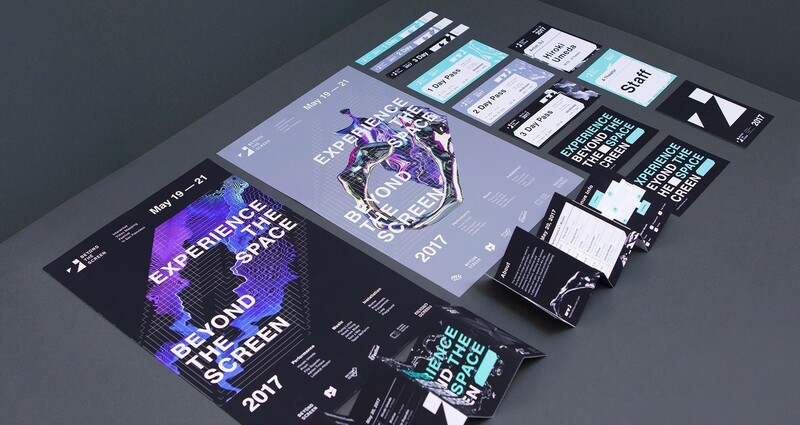 To display this interactive experience, apparent and comprehensible visual expression was designed to approach general target audience.